According to a Lafayette Consolidated Government spokesperson, the Buchanan Street parking garage is closed indefinitely after engineers deemed the structure is unsafe. The closure comes days ahead of an LCG council vote scheduled for Tuesday on Lafayette Parish selling the structure to the city of Lafayette. The decision to close the garage came following a structural reassessment conducted today. The engineers who conducted the inspection recommended closure of the garage in the interest of public safety. 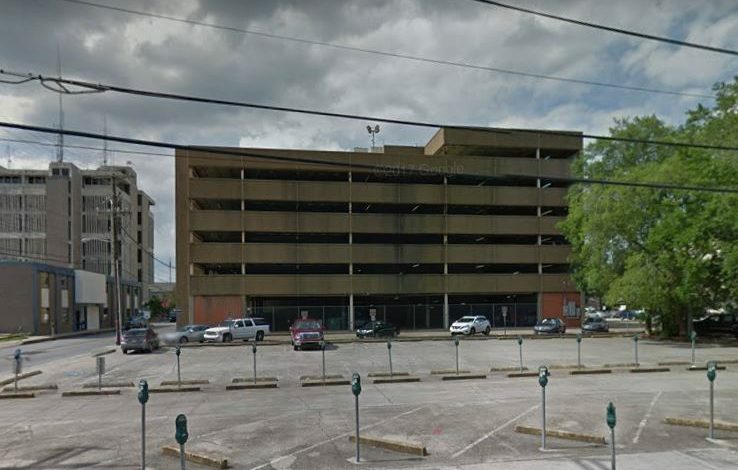 In addition to the transfer of the Buchanan Street parking structure, the LCG council is expected to take up the sale of the old U.S. Federal Courthouse and former Lafayette City Police building on Jefferson Street and the former Acadiana Open Channel studio building on Main Street to a private developer for $1.4 million at Tuesday night’s meeting. Vehicles will not be permitted in Buchanan Street Garage until further notice. Members of the public who would otherwise park in the Buchanan Street Garage will be redirected to park at the Vermilion Street Parking Garage located at 121 E. Vermilion St. or at available on-street parking spaces. Additionally, the City Hall overflow lot located at 100 Hamilton Place (behind A-Net’s Bridal and Johnson’s Boucaniere) is available for public parking. Provisional parking arrangements are being made for employees working in the Parish Courthouse who currently park in the Buchanan Street Garage. The Buchanan Street Garage closure is indefinite, and a plan to address the safety issues is underway.